Due to popular demand, The Jets will take their extensive catalogue of classic hits and the new covers album Gotcha Covered back on the road for the Summer of 2018/2019. 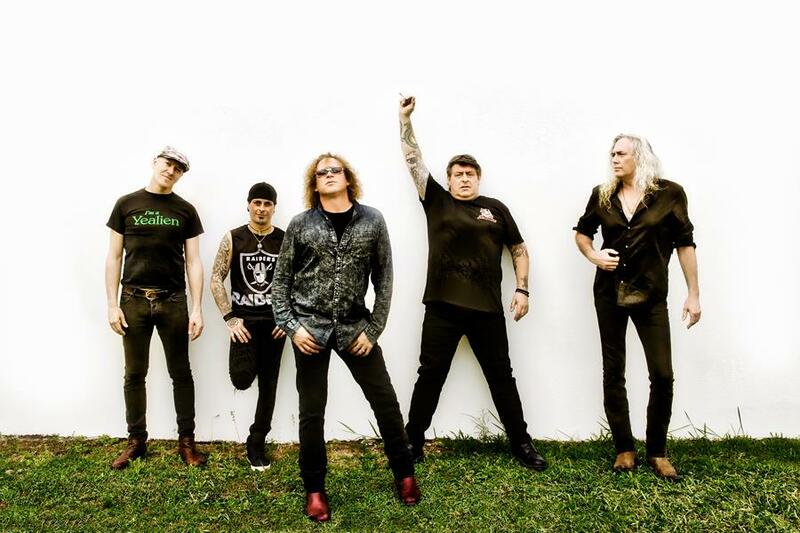 As they approach their 30th anniversary, one of Australia’s most loved and respected rock bands, The Screaming Jets, is gearing up for the release of a very special record – GOTCHA COVERED. Available from July 27, GOTCHA COVERED , the eighth full-length album from The Jets, was largely inspired by the band’s favourite radio hits of the last 50+ years, and songs that evoke nostalgic reference to the past. 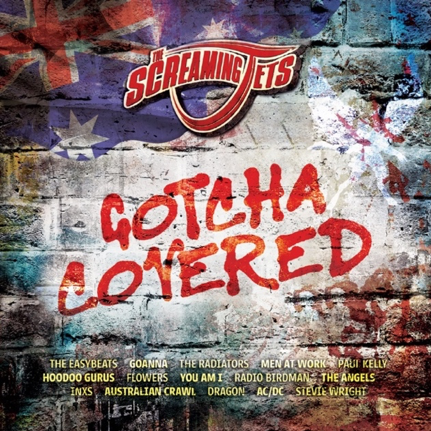 The Screaming Jets salute an eclectic collection of Aussie artists with their own trademark interpretation of songs from The Easybeats, Men At Work, Paul Kelly, The Angels, You Am I, Hoodoo Gurus, INXS and AC/DC, just to name a few. The Screaming Jets are well known for their ability to take a classic song and make it their own … think Roland Howard’s “Shivers”, Barry MacGuire’s “Eve of Destruction”, Johnny Cash’s “Folsom Prison Blues”, Neil Young’s “Rockin’ In the Free World” … they’ve adopted these songs as their own over the years. In typical maverick style, the boys have taken it to the next level with an album of covers from a legendary line-up of Australian artists that have in some way, over three decades, influenced the band’s illustrious rock odyssey. Produced by longtime collaborator Steve James (All For One, Living in England EP, Tear of Thought, World Gone Crazy and the band’s most recent release from 2016, Chrome), the selection of tracks were recorded raw and live at Sing Sing Studios in Melbourne earlier in the year. What came out of the studio was a collection of 15 iconic Aussie songs spanning the mid 1960’s to late 1990’s, paying homage to a cross-section of Australian music history. The guesting shredders include Rick Brewster (The Angels), Nat Allison (Suzi Quatro), Tim Henwood (SuperJesus/ Palace Of The King), Cam McKenzie (Horsehead/ Mark Seymour band), Bob Spencer (The Angels/ Rose Tattoo), Dave Leslie (Baby Animals), Brett Kingman (James Reyne), Brett Williams (the Choirboys), Warwick Scott (Skunkhour), Ronnie Simmons (Richie Ramone), Danny Spencer (Jimmy Barnes/ Richard Clapton), Chris Hawker (Airway Lanes), Pete Wanno (Suzi Quatro/ Josie Jason), Stuart Fraser (Noiseworks/ John Farnham), Stu Marshall (Empires Of Eden) and Zakk Zedras (Chocolate Starfish).